On June 6, 2017, a 14-year-old girl with a history of suicide attempts and other mental health problems went missing in Georgia. The Gordon County, Georgia, Sheriff’s Office received a call at 11 a.m. from the girl’s mother and reported she saw her daughter the night before, but she was gone when she went to look for her in the morning. Detectives discovered surveillance video of the girl at a hotel in Calhoun, Georgia. They also learned she left with an adult male and female she had met through social media in a blue 2017 Subaru Impreza. The Sheriff’s Office contacted the Georgia Bureau of Investigation (GBI) about the alleged kidnapping and the possible issuance of an AMBER Alert. 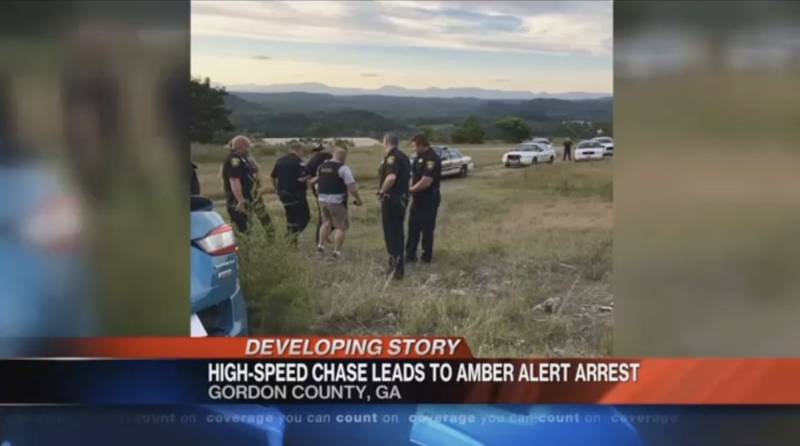 “I was worried for the welfare of the child and began reviewing what else could be done to recover her,” said Georgia AMBER Alert Coordinator Brad Parks. “I was also concerned about the mental health of the victim and the fact adults traveled from outside the state to remove her from her medical care,” added Georgia Missing Persons Clearinghouse Manager Emily Butler. Georgia issued an AMBER Alert at 4:30 p.m. on June 6, 2017. The alert updated notified law enforcement, media and social media platforms, and was posted on transportation signs. Data on the suspects’ vehicle was also placed into license plate recognition cameras. The GBI also asked the Tennessee Bureau of Identification (TBI) to issue an AMBER Alert, as the agency had cell phone information indicating the victim and suspects were traveling to that state. The Loudon County, Tennessee, Sheriff’s Department began pursuing the suspects’ vehicle after they spotted a reckless driver. At 10:30 p.m., the 14-year-old victim was found safe in the vehicle with no injuries. Deputies took the female driver and male passenger into custody. “I think anytime a child is found quickly after an AMBER Alert is issued, that is evidence the system works,” said Quin. Everyone involved in this case believes cooperation and relationships were key factors in making this AMBER Alert work.